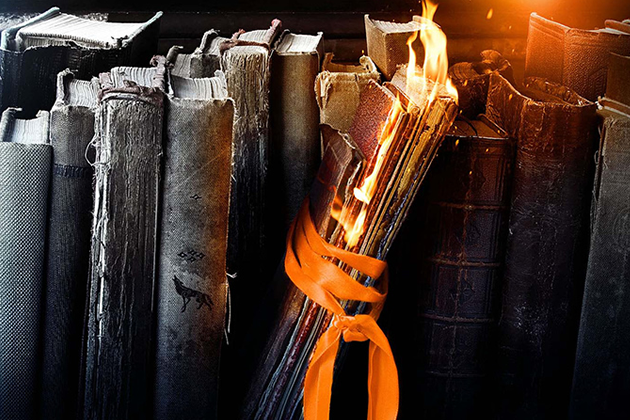 A masterful, intensely suspenseful novel about a reader whose obsession with a reclusive writer goes far too far - a book about the power of storytelling from a master storyteller. 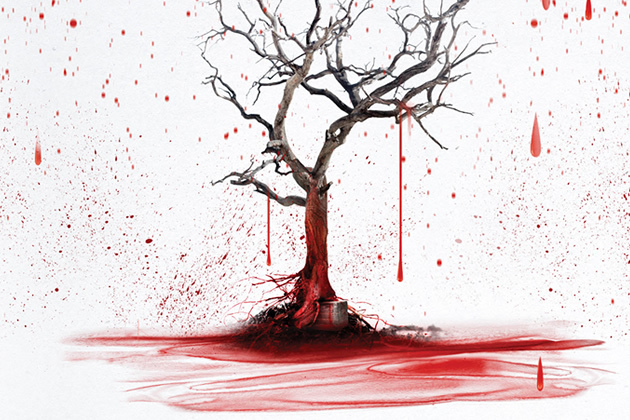 - Starring the same trio of unlikely and winning heroes Stephen introduced in Mr. Mercedes, winner of the 2015 Edgar Award for Best Novel. So begins Stephen’s megasuspenseful story about a vengeful reader. The genius is John Rothstein, an iconic author who created a famous character, Jimmy Gold, but who hasn’t published a book for decades. Morris Bellamy is livid, not just because Rothstein has stopped providing books, but because the nonconformist Jimmy Gold has sold out for a career in advertising. Morris kills Rothstein and empties his safe of cash, yes, but the real treasure is a trove of notebooks containing at least one more Gold novel. 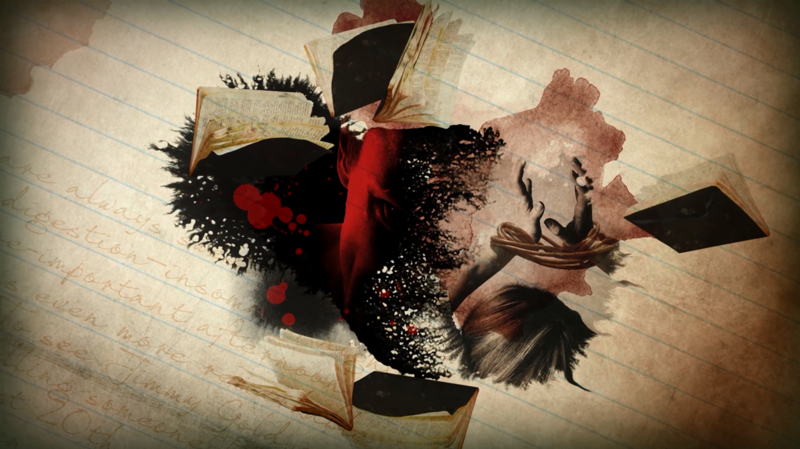 Morris hides the money and the notebooks, and then he is locked away for another crime. Decades later, a boy named Pete Saubers finds the treasure, and now it is Pete and his family that Bill Hodges, Holly Gibney, and Jerome Robinson must rescue from the ever-more deranged and violent Morris when he’s released from prison after thirty-five years. 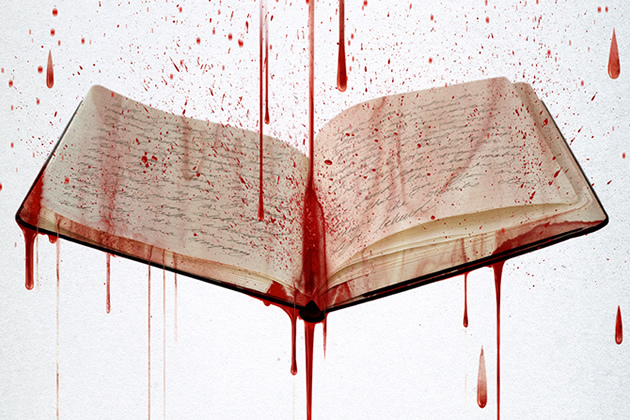 Not since Misery has Stephen played with the notion of a reader whose obsession with a writer gets dangerous. 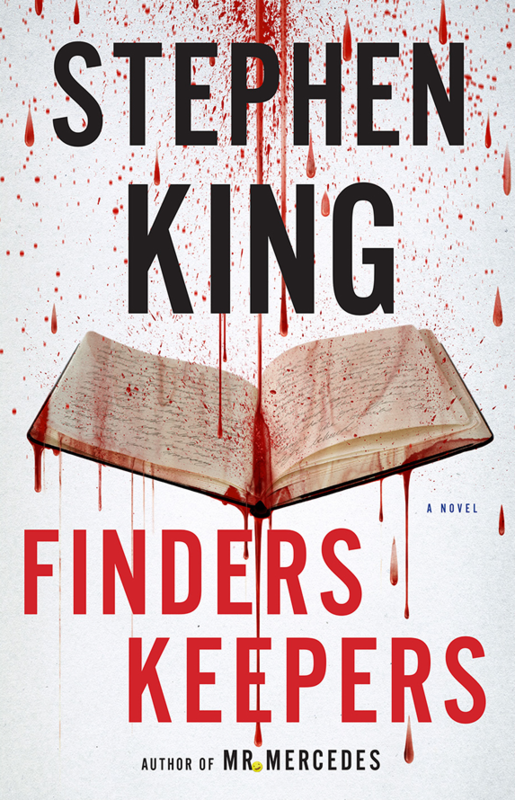 Finders Keepers is spectacular, heart-pounding suspense, but it is also Stephen writing about how literature shapes a life—for good, for bad, forever. 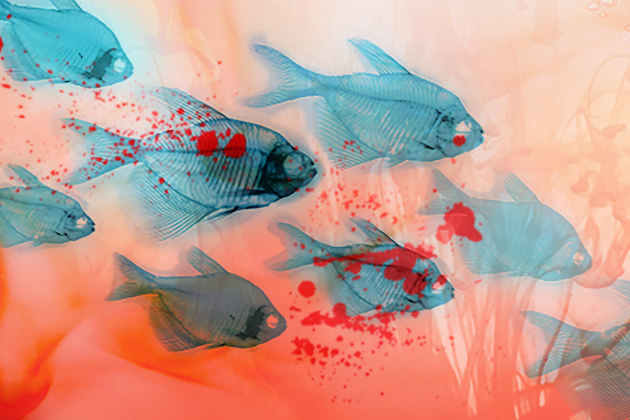 Scribner has revealed the cover for the final installment of the Mr. Mercedes trilogy, End of Watch. See the link below to view the cover. 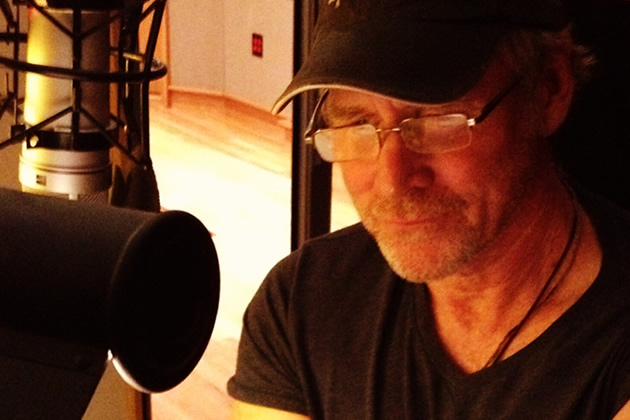 Simon & Schuster Audio and Nook have released a new excerpt from the Audiobook Editon of Finders Keepers. Click the link below to listen to the clip on Facebook. 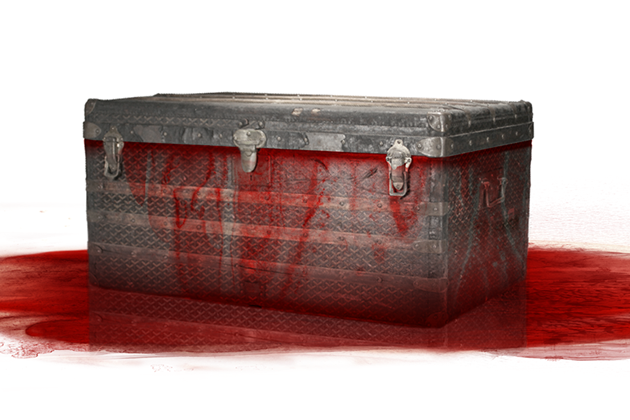 The complete chapter 1 excerpt from Finders Keepers is now available on StephenKing.com. 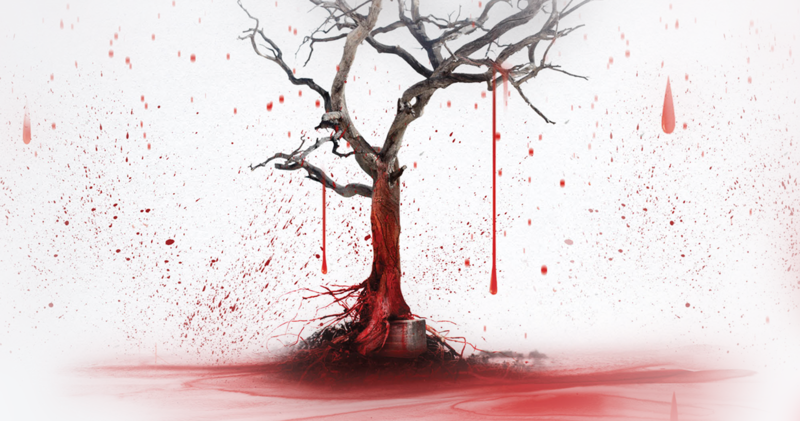 Update: Our friends at Simon & Schuster Audio have granted StephenKing.com permission to release an exclusive 10 minute audio clip from chapter 2. Your browser does not support MP3 audio. 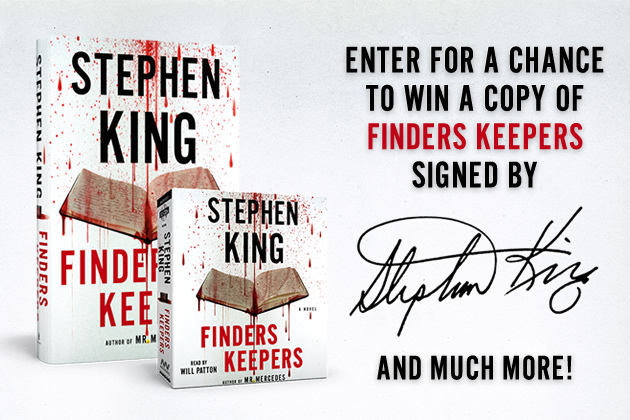 The Finders Keepers Sweepstakes has now ended. We will announce the winners via email on or about the 26th of May 2015. His numerous film credits include Meeks Cutoff, Brooklyn's Finest, A Mighty Heart, Remember the Titans, The Punisher, The Mothman Prophesies, and Armageddon. He starred as Captain Weaver on the TNT series Falling Skies and won Obie Awards in the theater for his performances in Fool for Love and What Did He See. Jack Bender (Lost) is attached to direct the series. 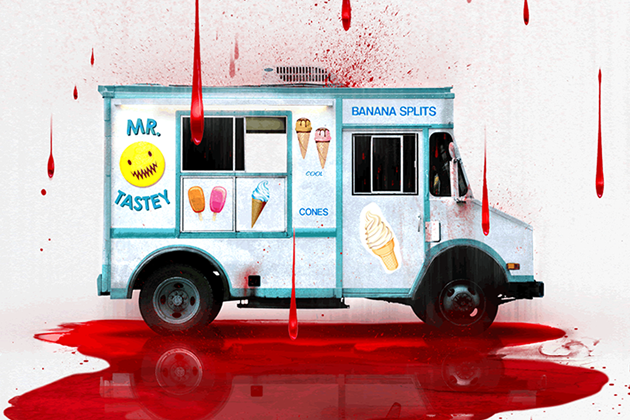 Marty Bowen and Wyck Godfrey of Temple Hill Entertainment will produce Mr. Mercedes with Sonar Entertainment’s Gene Stein. 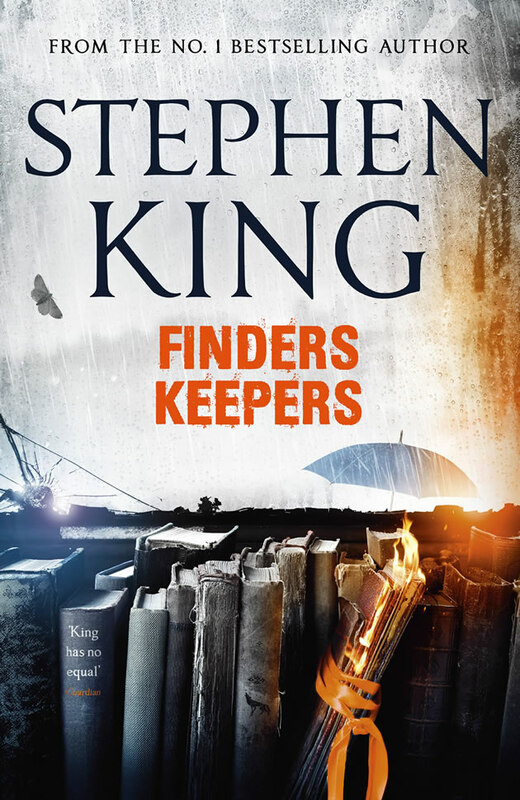 Stephen's British publisher, Hodder & Stoughton, have revealed the UK Edition cover image for Finders Keepers. 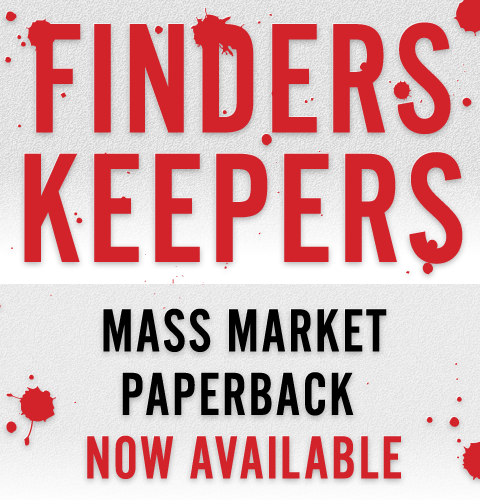 Stephen's British publisher, Hodder & Stoughton, will publish Finders Keepers on June 2nd in hardcover and ebook formats. 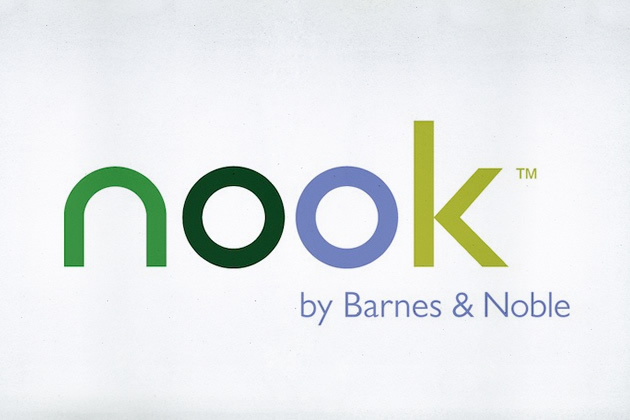 Stephen's fans across the pond can visit Hodder & Stoughton's official website for more information on the UK edition. You can also check out the H&S Facebook page at the link below.